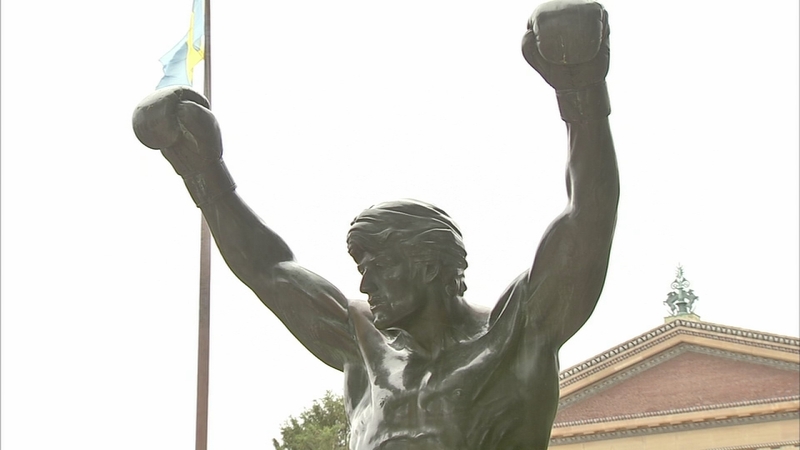 PHILADELPHIA -- You can't keep Rocky down for long - that goes for the boxer and the statue. The iconic statue, one of Philadelphia's biggest tourist attractions, is once again back open for visitors. "Rocky is back in business! The statue at @philamuseum reopened today," the City of Philadelphia Parks and Recreation Department tweeted Wednesday. Back on May 30, the immediate area surrounding the Rocky statue located on the Benjamin Franklin Parkway, to the right of the base of the Philadelphia Museum of Art steps, was closed to the public for two weeks so that site improvements could be made. During that time, residents and visitors were not be able to access the statue for photographs. Once again, one of Philadelphia's biggest tourist attractions will be closed to the public for days. Running up the 72 steps to the top of the Art Museum is part of the tradition ever since Sylvester Stallone did so in his iconic 1976 movie, 'Rocky,' a film about an underdog boxer - and the six sequels - with so many powerful messages that have left their mark on so many. On the same day the statue reopened, the Philadelphia Police Department and the Philadelphia 76ers held a workout on the steps. 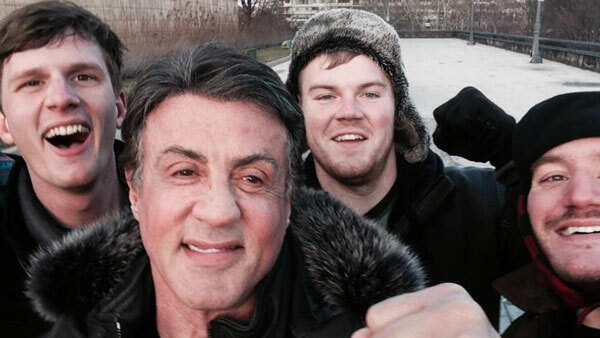 A number of people who were at the Philadelphia Museum of Art this weekend took home a one-of-a-kind souvenir: a selfie with Rocky himself, Sylvester Stallone! 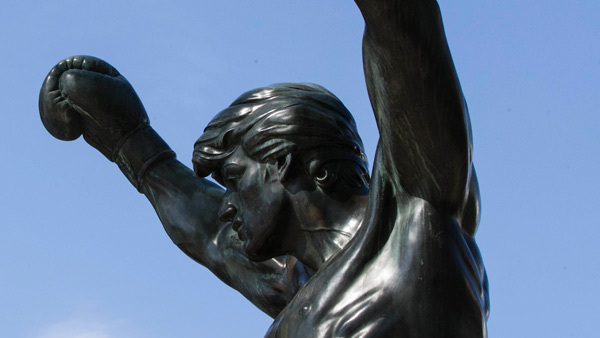 The bronze Rocky statue, commissioned by Stallone himself, was originally placed atop the Art Museum steps, but it has been moved several times over the years because officials thought it was not art. 40 years ago today the movie "Rocky" premiered in New York City, giving Philadelphia a hometown hero to celebrate for life. It was once moved to the steps outside the former Spectrum sports arena. It eventually made its way back to the Art Museum, but this time on a corner in front of the museum. 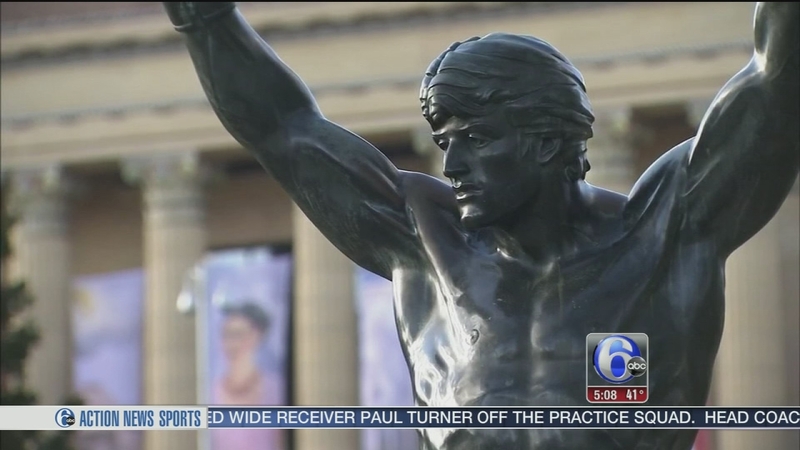 It's been nearly 40 years since the first Rocky movie hit theaters and put Philadelphia in the national spotlight. But then in April, the statue and steps were inaccessible to fans during the month-long set up and take down for the NFL Draft. Now, after a few weeks on the sidelines yet again, Rocky is back!